A new season calls for new makeup, right? I’ve got my eyes on so many gorgeous new things at the moment that I just had to share! Be still my beating heart… Chantecaille has released their new collection of lion-inspired beauty. More artwork than makeup, there is a pretty strong chance I will buy these sooner rather than later. How adorable is the blusher?! Whilst we’re on the topic of fantastically expensive makeup, I am really intrigued by the new Space NK addition – the Le Metier de Beaute products all look gorgeous. In particular I am liking the look of the Kaleidoscope edit and the moisture matte lipsticks. 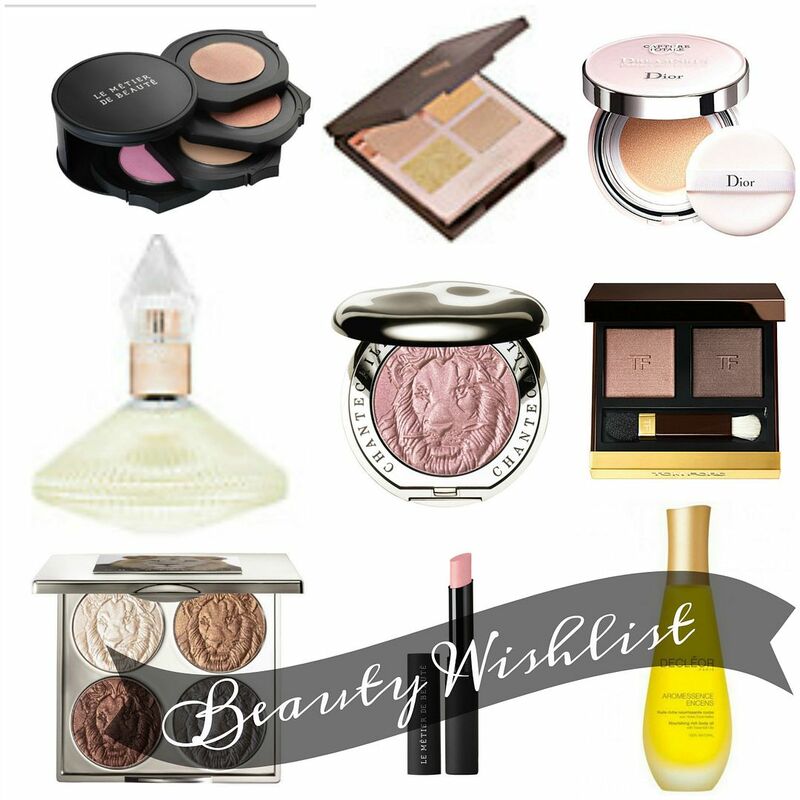 Charlotte Tilbury is just constantly on my wishlist – I need to smell the new fragrance asap and get my hands on her new legendary muse eyeshadow quad... More eyeshadow in the form of the new Tom Ford duos, and then we might as well go for the new Dior foundation compact. After seeing the Stylist Beauty Award winners, I am going to need to get my hands on the Decleor body oil – it sounds dreamy, and the perfect product to combat parched skin. Anything to make getting ready in the mornings more exciting is pretty good to me.